Home / Interior Design • Painting / What is the best color for my home? White to gain breadth, earth tones to add warmth, blue to convey peace and serenity … You know what color is best suited for house walls? The colors are the basis of all decoration; therefore, we must make sure to choose the ideal type of housing tone. If you want to find out for sure, take note of the keys that we share with you today in houseilove. We help you find the perfect for your home color, depending on the size and style. Before choosing the color, we must consider the characteristics of our house. If the house is small and the rooms are dark, light colors will be our best allies. White is a stylish, color timeless and luminous, which also conveys a sense of calm, purity and wellness. 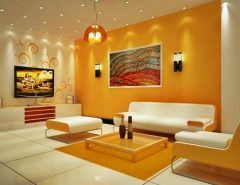 Light colors reflect light, so make rooms look larger and more spacious than they are reality. 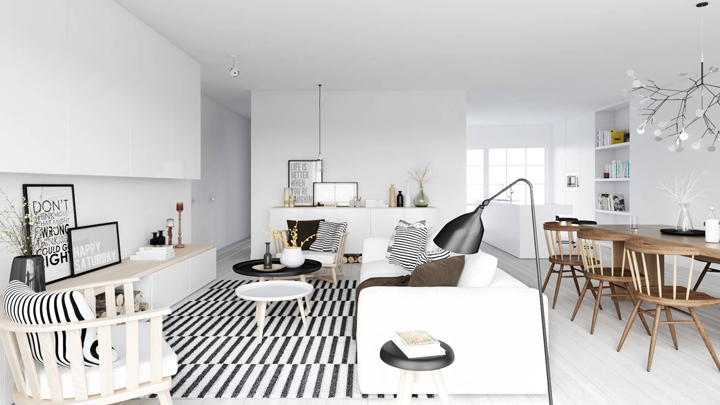 When combined, white is such a versatile color that fits all. 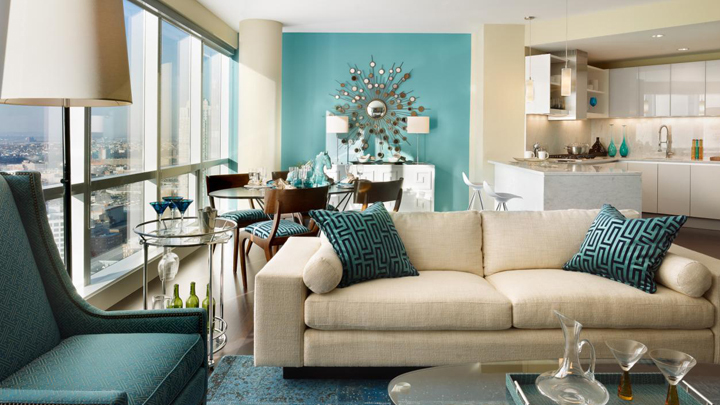 However, if we have to choose, this color works well in environments contemporary and minimalist style. If you want a cozy and timeless home, nothing better than the beige. Earth tones make the result much warmer environments. In addition, it is an incredibly timeless color that is always in fashion, and we can combine very easily with all kinds of decorative styles. If you want to gain breadth, in houseilove we recommend combining beige with white. If we choose to combine it with earth tones stronger as chocolate, achieve decorated with more character. Therefore, if you want your house resulting cozy at the same light, beige is definitely your color. For big and bold homes, nothing better than a bold red passion. But beware, because this color is not easy to combine. Red has a lot of aesthetic force, although it is also an elegant and sophisticated color, if we choose correctly. Therefore, in houseilove we recommend you opt for a garnet, which will help to give strength and character to the house. Use this color on a wall and combine it with accessories in light colors to reduce visual weight of this color. If you want to cool the house, nothing better than green or blue. They are colors that are inspired by nature and convey sense of calm and well-being. 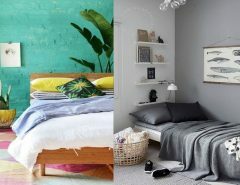 Spearmint, olive green, sky blue, aqua … Find the perfect shade for you and combine with wooden furniture, natural fibers and soft textiles such as linen and cotton. If you opt for a green to paint the walls of home, we recommend houseilove to win white light in your room. An irresistible chromatic mix that will refresh instantly spaces. But if you prefer to be inspired by the beauty of the sea to dress your walls elegantly, do not hesitate to combine blue with a white light to give a maritime feel to the rooms. The blue also works well with earth tones, whether the woody like beige or soft yellow. But if you prefer a more timeless decor, gray is a neutral color that you hit insurance.